Most individuals file either a Chapter 7 or Chapter 13 bankruptcy. A Chapter 7 eliminates debt, lasts less time than a Chapter 13 (about three to four months), but also sells any of your property that is not exempt, meaning it's not protected by law. A Chapter 13 bankruptcy is a repayment plan to pay back all or some of your debt. This usually lasts 36 to 60 months and can prevent home foreclosure and car repossession. A bankruptcy trustee administers your case, makes sure the rules are followed and case is resolved. One of his jobs is to hold a Meeting of Creditors, also called a 341 meeting or a trustee meeting. The meeting typically takes place a few weeks after filing for bankruptcy. For Chapter 7, the trustee will discuss your non-exempt assets. For Chapter 13, the trustee will review the repayment plan. For both types of bankruptcy proceedings, the trustee will ask such questions as whether you owe child support, if your wages are garnished and if you recently transferred any money or property. Creditors are invited to attend, but rarely do. Creditors and the trustee have 30 days after the 341 meeting to file objections to any Chapter 7 property exemptions you claimed. These might be based on state law or the Bankruptcy Code, such as limits allowing you to keep up to $1,450 in jewelry and up to $11,525 in household goods, furniture and appliances. An objection might also be filed if the trustee is concerned you have too much money in the bank or other assets. After the meeting of creditors, the court may issue orders upon the debtor. These can include turning over property or assets, or providing the trustee with information. You should reply promptly to any requests. If the debtor fails to follow these orders, the case may be dismissed. Whether filing a Chapter 7 or Chapter 13 bankruptcy, all debtors must complete a financial management course within 45 days of the scheduled 341 meeting. You must file an Official Form 23 with the court confirming completion of the course. If a debtor does not file this form, his case may be closed without any debts being discharged. In a Chapter 7 bankruptcy, creditors have 60 days after the 341 meeting to file a complaint, also known as an adversary proceeding. This is essentially a lawsuit within a bankruptcy case. 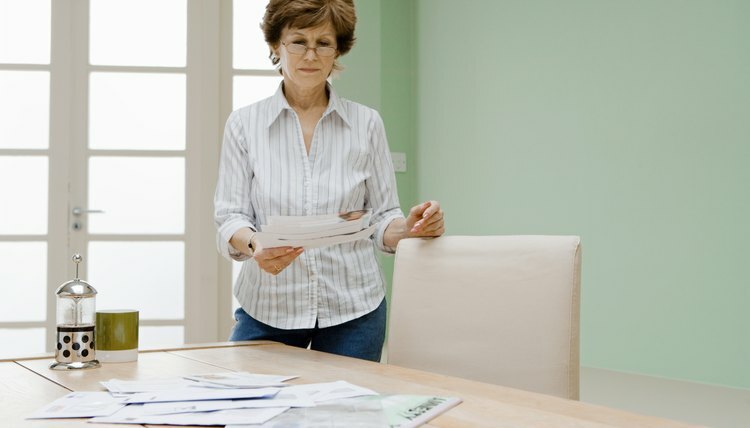 A complaint can also be filed by the trustee, spouse or anyone with claims against the debtor or his assets. Complaints are often filed if a creditor thinks the debtor committed fraud, such as running up charges just prior to bankruptcy. Adversary proceedings are run like a civil lawsuit, with the debtor responding and the court making a decision. Individuals who filed Chapter 13 must attend a plan confirmation hearing in front of the judge. This gives the judge a chance to review the debtor's plan to repay his debts. Once the plan is approved, you must faithfully continue to make payments to your creditors according to the plan. A bankruptcy discharge means all actions to collect a debt must cease and the debtor gets a fresh start. In a Chapter 7 bankruptcy, if no one files an adversary proceeding and all objections are dealt with, the bankruptcy will be discharged. This usually happens about 10 to 12 weeks after the 341 meeting. In a Chapter 13 bankruptcy, the bankruptcy is discharged after the repayment plan is completed. Marks Law Firm: What Is a 341 Meeting? Marks Law Firm: Who Is the Guy You Keep Calling the 'Trustee'? Sharon D. McDuffie: What Is a 341 Meeting? What Happens Afterwards? Farquhar Law: What the Heck is a Bankruptcy Adversary Proceeding? A bankruptcy trustee is a neutral professional appointed by the federal bankruptcy court to administer your bankruptcy case. The trustee has various roles depending on the type of bankruptcy case you filed, but can recommend dismissal of your case, thereby blocking your discharge, or the elimination of unpaid debts. The trustee is not permitted to give individual legal advice to debtors, so if a debtor does not correctly file his petition, the trustee can ask the court to dismiss the case before it even gets started. What Prompts a Home Inspection in a Chapter 7 Bankruptcy? Home inspection in a Chapter 7 bankruptcy is a rare occurrence. Certain circumstances, however, make an inspection more likely. Knowing your obligations when filing for bankruptcy, and fulfilling them honestly, can help you avoid an inspection or successfully navigate the process if it occurs. What Happens at a Trustee Meeting?